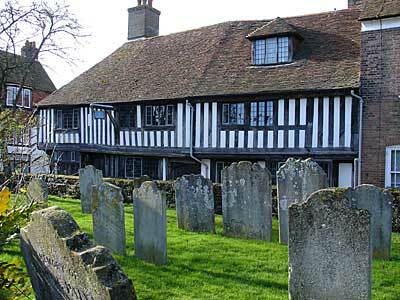 This late medieval house was once the residence of a wealthy merchant. The building features a continuously jettied front elevation and has been restored in recent times. In the mid-19th century, the interior was divided into tenements, one being a grocer's shop.